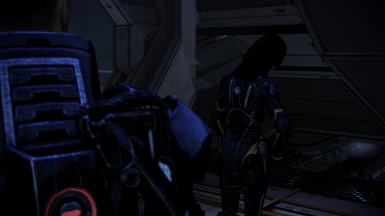 Gives Miranda her ME2 black battle-armor during the Priority Horizon mission in ME3. A completely self-contained mod, does not require Texmod or Texplorer to view the new outfit textures in-game. 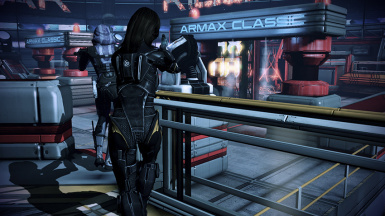 UPDATE: Now has an additional mod to give Miranda her armor in the Armax Arsenal Arena in Citadel DLC. 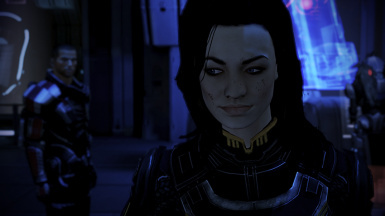 "Why the hell is Miranda not wearing any combat armor?" 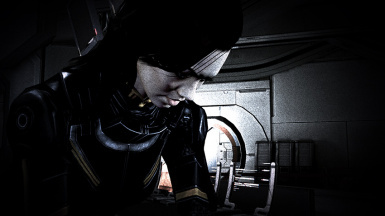 It seems like a pretty obvious thing for her to do, considering she's going on a solo-mission into a Cerberus facility (armed with Cerberus soldiers) to rescue her sister. 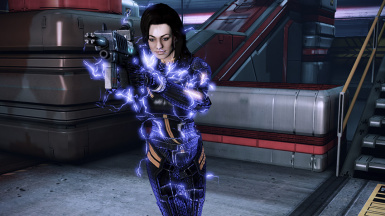 Would any character in Mass Effect, especially one as intelligent as Miranda, knowingly go into such a situation without wearing the proper gear for it? The answer is "No, they wouldn't... they would wear their fricken' armor if they knew they were going into a probable combat situation". 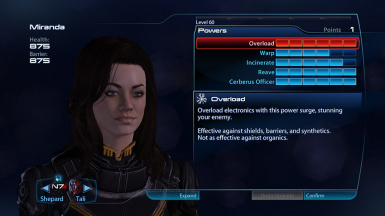 Thankfully, ME2 once again provides a solution to this issue... in the form of Miranda's Alternate Appearance Pack battle-armor. 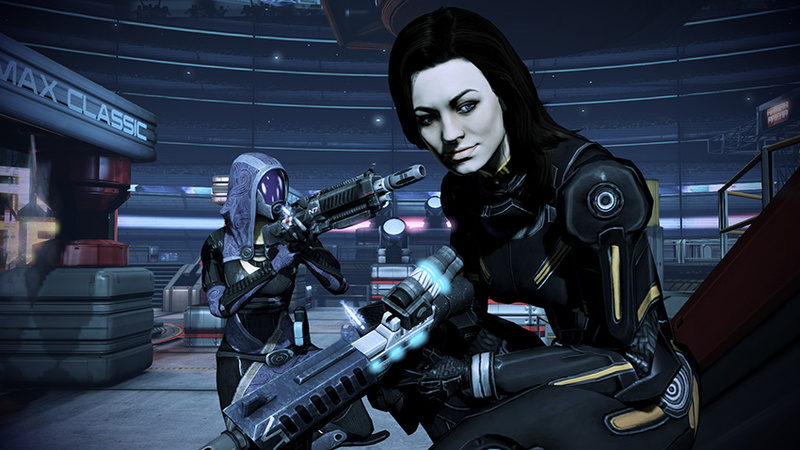 This is an additional mod for the Citadel DLC, which gives Miranda her black battle-armor for the Armax Arsenal Arena. Just like the Horizon Armor mod, just drag and drop the "DLC_CON_MiriArmorCit" folder into the Mass Effect 3 DLC folder to install. NOTE: The Miranda - Arena Armor mod does require the Citadel DLC. 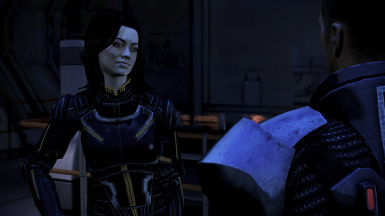 Note: There is a single scene in Horizon where Miranda will not be wearing her new armor - it's the scene that plays on the monitor for Shepard of Miranda being attacked by Kai Leng (just after the monitor scene of Henry Lawson talking to the Illusive Man). The reason why this mod doesn't work on that video is because it's a rendered .bik video file that isn't influenced by model/texture changes, so that video unfortunately can't be changed.